Honda have set their sights on having the third most powerful engine on the grid for the season opener at the Australian Grand Prix in March. 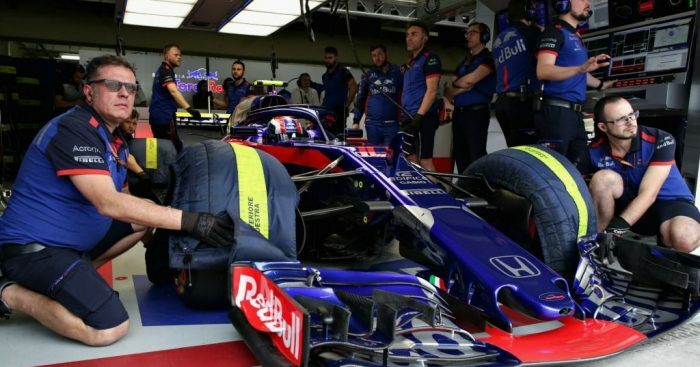 Ever since Red Bull have been toying with the idea of switching to Honda power, there have been several suggestions that the Japanese manufacturer’s power unit was already a better performer than Renault’s engine. But Honda motorsport boss Masashi Yamamoto wants that to be an absolutely definitive claim by the time the lights go out in Melbourne. “We will make a big effort during the winter, and [up until] now of course,” Yamamoto told Autosport. As for then setting their sights on Mercedes and Ferrari, Yamamoto knows there is much more work to do to catch up with them. “We are not really keen to say a specific time, but Mercedes and Ferrari have loads of knowledge of the grey areas [of the rules], so they are still ahead of us,” he added.